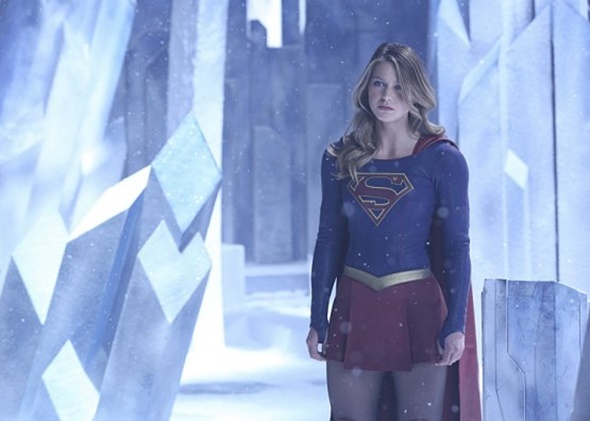 Supergirl is getting ready to end its first season on CBS soon, and fans of the series do not know if the series is set for a second season yet. CBS did not renew any of its freshman series when it renewed 11 of its shows last month. There is good news though. The series had a big bump in the ratings with The Flash crossover last week. More crossovers are being discussed, and that is a good sign for fans of the series. David Harewood, the actor behind J’onn J’onzz, spoke about Supergirl’s renewal chances while he was out promoting The Night Manager. Fans should know the fate of Supergirl soon. Are you a fan of this series? Do you want a second season? Tell us what you think. Arrow, Supergirl: Will Superman Meet Oliver Queen in the Big CW Crossover? Supergirl, The Flash: CBS Boss Teasing a CW-CBS Crossover? Supergirl is an awesome, well written and well acted show that they had better not cancel the show. Supergirl is my favorite current TV show. I DVR just it & 1 other show, as I have a busy work schedule & that’s the only way I can watch a prime-time show. I started DVRing The Flash after I heard there could be a crossover & I love both shows. The crossover was great. MORE! MORE! Please renew, I love everything about this show. Supergrass you rock!! Fantastic series. Watch it every week with my daughter. We both love the show, and very much want to see it renewed. Please renew!! This is the only series that myself and my sons (16 & 18 yo) watch together. We count the days until Monday so we can see the next episode. I think supergirl and it’s actors do a wonderful job. Full of action and family oriented. I do believe it’s in CBS ‘s best interest to give supergirl another year. I watch it every week. Can’t wait to see more! More! I am a Flash fan who has just started watching SG. I want to see more Kara! This show is unique in that it stars a woman as a superhero. Why do need another show about cops or lawyers? The show is well-written. It is supposed to be fun and lighthearted. Not everything has to be serious or violent. The actors do a great job. Keep it. They should only renew it if they are going to improve the writing, add some better main characters and make it less of a kids show. Supergirl should definitely be renewed. With all the crappy reality TV and competition shows out there, this is a great show that our whole family enjoys watching. Every week either live or OnDemand.